The SPATEX organisers have tasked their PR company, Talk2PR, with bringing something new to the SPATEX table... and making sure that particular something new is exactly what exhibitors and visitors want. 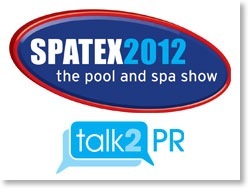 Everyone concerned is in no doubt of the fact that what is wanted is more effective promotion of the products and services displayed at SPATEX and with that in mind Talk2PR set up a meeting with Selfbuilder.tv to discuss the possibility of a programme being filmed at SPATEX 2012. 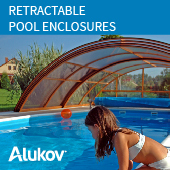 This would give the industry a huge opportunity to promote the fact that pools and hot tubs are affordable and how to avoid DIY disasters by always involving an industry professional. Exhibitors would be given the option of being filmed offering specialist advice and information on their particular subject. The fact that television is involved would in itself generate interest for visitors to SPATEX and also pique the interest of other media sources thereby spreading the word still further. To encourage more of the health and fitness professionals to visit SPATEX exhibitors are being asked to help put together a wellness area where products will be showcased and placed together in a way that replicates the most fabulous and relaxing leisure suite. Music, soft lighting, saunas, steam rooms, massage tables or ice cabins to create the 'SPATOX' de-stress, chill out, relaxation and treatment area. Many SPATEX exhibitors use the show as an opportunity to provide customers with special offers available throughout the duration of the exhibition and for the first time it is planned that each exhibitor has the ability to use the SPATEX website for their own downloadable vouchers. 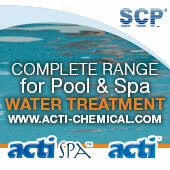 Also planned is the Concept Gallery where a wealth of innovative industry product additions and updates can be viewed. The proposals are out there and exhibitors have been asked to indicate which initiatives they feel are the ones that will make SPATEX 2012 a show to remember.